Sharon M. Draper’s historical novel was a great follow-up to Gone Crazy in Alabama, which I read and loved earlier this year. The protagonist of Stella by Startlight is a girl who lives in the depression-hit, segregated town of Bumblebee, North Carolina. Not being able to go into some stores, attending a different school than white children, and knowing that the Ku Klux Klan rides at night are all part of Stella’s reality — but so too are survival, resistance and community. 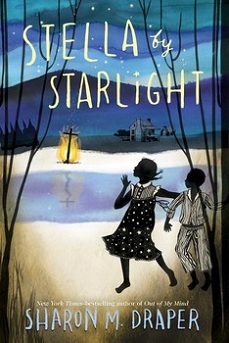 What I liked the most about Stella by Startlight is that it’s another historical novel that shows that courage is nearly always the result of having access to networks of support that allow you to organise resistance to oppression. I’m wary of stories that portray challenges to systemic issues like racism in a hyper-individualised fashion: if only you refuse to be afraid and stand up to the mean bully, these stories suggest, they’ll back down and go away. No matter how well meant, this is a narrative that minimises the prevalence of racism, delegitimatises fear as a rational reaction to real danger, and encourages people to put themselves in harm’s way. Needless to say, Stella by Startlight is not one of these stories. When Stella’s father and two other black men from Bumblebee decide it’s time to register to vote, they know there might be a price to pay. Indeed, the family of one of the men in question see their house burned down by the Klan, and just barely manage to escape with their lives. The reason why they survive the incident, though, is that their community rallies together to ensure that this happens — with solidarity, support, and material help. And it’s this, rather than solely the belief in justice as an abstract ideal, that makes courage possible. It’s knowing that people have your back should you choose to challenge injustice that enables men like Stella’s father to fight for a better world — heroically, yes, but communally rather than on their own. 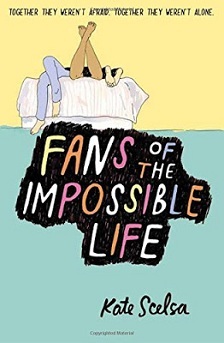 Mel Morrow describes Kate Scelsa’s Fans of the Impossible Life as a novel that depicts a “queer-centric world” where “difficult discussions are safe from false binaries and reductive milieus, and where openness to several perspectives simultaneously becomes possible”. As I read this novel, one of the things I kept thinking about was that it’s indeed much easier to avoid the traps of associating queer characters with inevitable tragedy if you present a world that normalises queerness, rather than allowing it to become the one defining trait of a single character in an otherwise heteronormative world. To clarify, nobody dies in Fans of the Impossible Life — it’s important for me to say this because far too many people I care about have been hurt by narratives that depict the lives of characters that resemble them as doomed by default. Instead, this is a novel about love and survival, which isn’t to say there isn’t a lot in it that’s painful. Mira, Jeremy and Sebby are three teenagers grappling with various difficulties. Mira suffers from depression; Jeremy is still reeling from an awful incident at school that left him isolated; and Sebby lives a precarious life with a foster mother who is unlikely to accept his sexual orientation. There is, of course, a lot more to each of them than what these phrases convey, but they give us a point of departure. As the three become closer, they learn the “messy and difficult and unmanageable truth of [each other’s] individual lives”, and find what hope there is to be found in intimacy and love. The novel’s title comes from a moment when Sebby says, as part of a ritual they devised to help Mira through bad times, “May we live impossibly. Against all odds.” I found Fans of the Impossible Life very moving in ways I’m not sure I can properly articulate. Kate Scelsa’s writing is astonishing, and she fills her novel with hope: with the possibility of finding your way back to love across layers of hurt that do their best to isolate you. The hope and love which form the heart of this book are not facile — human connections are not shown to be an instant magical cure for whatever complications hit us. Still, there’s a power to them that makes them worth fighting for, and there’s nothing cheap about the solace that love and community can bring. I wanted that so much for Mira, Jeremy and Sebby, and the novel left me feeling that perhaps it was possible after all. When it got this bad, she would do anything to make it stop, and that’s where the danger was. The feeling itself had no patience. It did not want to sit and wait. And so it made her believe that she couldn’t survive as long as it was there with her. She would destroy herself in order to destroy it. This was the essence of depression. If nothing meant anything, there were no choices. When she fell into the depths of tiredness she was deep inside a lack of possibility. She felt like a heap of meat tied to this planet for no reason. A foggy dream of a future where she could spend all her time doing something that she loved, rather than fulfilling duties out of obligation, was nothing more than a fantasy. Christopher Barzak is an old favourite author of mine, so a new novel by him is a momentous event. 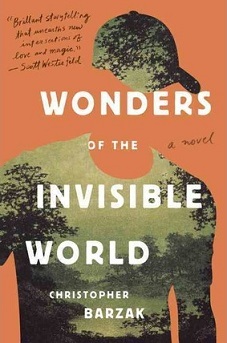 Wonders of the Invisible World was worth the anticipation, but unfortunately my experience with it was affected by the fact that my five-weeks-without-reading spell happened right when I was in the middle of it. This has nothing to do with the novel and everything to do with life events, but it had enough of an impact that I’d feel weird not mentioning it. Although this was a book I loved, it’s also one I know I’ll want to revisit at a more appropriate time. Wonders of the Invisible World tells the story of Aidan Lockwood, who lives with his family in a farmhouse in Temperance, a small town in rural Ohio. When his childhood best friend returns to town after a few years away living in Cleveland, Aidan realises just how fuzzy his memories of his time with Jarrod are. As it turns out, there’s a lot more that Aidan doesn’t remember: as the novel progresses, he uncovers truths about his past, the nature of his feelings for Jarrod, and an old family secret that reverberates into the present. I think my favourite thing about this novel is the fact that it’s written so generously. This isn’t exactly new to Barzak’s writing, but I particularly appreciated it here: Aidan’s life in Temperance isn’t perfect, and there’s a lot about being seventeen and gay and in love in a small town that’s terrifying. Nevertheless, the novel resists portraying small rural communities as inherently repressive. Moving somewhere far away is not the one true path to happiness and fulfilment — with truth and support, bravery and love, Aidan is able to carve out a space in Temperance that he can call a home. The same generosity is present in how Aidan’s mother is portrayed. She could easily have become the villain, but instead she’s a complicated woman who genuinely loves her son, even if she sometimes lets fear become her primary motivation. The relationship between the two is full of subtlety and depth, and it was lovely to see it unfold. Lastly, I enjoyed the novel’s seamless blend of fantasy and realism: there are ghosts and curses and visits to worlds beyond our own, but there’s also a fully realised community and a town that’s affectionately and intricately brought to life. These all sound like gems! I really, really need to break out of my own reading-less streak here. And I will, when the time is right I suppose. Aww, I'm sorry to hear it's happening to you as well. But yes, you definitely will in time. Temperance, Ohio sounds so much like a real town that I had to look it up to see if it was based on a real place (as far as I could tell, it's not). I put that one on my wish list. The town itself isn't real, but I think it was based on Barzak's experiences of growing up in Youngstown. 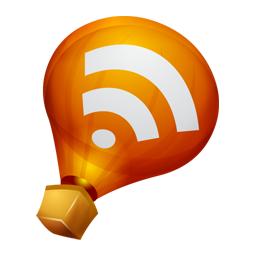 I look forward to hearing what you think when you get to it! I loved it. The Ohio feel seems quite authentic although obviously I didn't grow up different in a small Ohio town. It was so great to have a good plot-driven book to read over the Thanksgiving holiday! So glad you made me aware of this one--my review will be up next week. Hooray - this makes me really happy. Looking forward to reading it!